Welcome to Stick It Down’s November blog hop! Several of our design team members have created projects to share with you using any of our past SID sketches. If you’ve never participated in a blog hop before, you’ll “hop” from blog to blog to visit each designer’s page and project. You’ll leave a comment at each stop along the hop. The hop will end right back here where you started, where you can comment to let us know you’ve completed the hop and you’re entered to win the grand prize. You have until Monday November 23 at 11:59pm to complete the hop. The winner will be announced on or before November 25. Paper Wings Productions is owned by Carrie Edelmann Avery. All of the PWP stamps are produced in the USA and are made using the highest quality materials. You can check out the PWP online store to see the red rubber cling stamps and the clear photopolymer stamps! I got to use the awesome Winter Mix it Up stamp set from our sponsor, Paper Wings Productions! Thank you so much, Carrie! The set has several snowflakes in it. I arranged them on my acrylic block and stamped them randomly onto white card stock, and then punched squares out of that paper. The Christmas tree is from page 70 of the Create a Critter 2 Cricut cartridge, and the paper pad is Merry and Bright by Pink Paislee. Here is the inside sentiment. 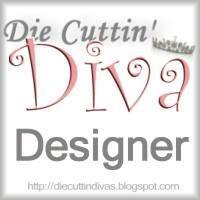 Don’t forget to leave a comment on each designer’s blog to be eligible for the prizes. I’m offering a little candy myself for people who leave a comment here and are followers (or become followers) of my blog. It’s a little surprise prize packet. Thanks again for stopping by today. I hope you enjoyed your stay and come back often. Your next stop on the hop is the very talented Ronna. Good luck! I hope you win! This entry was posted in Paper Crafting and tagged card, Christmas, Create a Critter 2, sketch, Stick it Down Design Team. Bookmark the permalink. This is so pretty! Love the snowflakes and the tree! Hermoso!! Te copio la idea de la nieve con papel blanco para el pino!! Great job, love how you made a layout into a card. Also like the stamps :). Fantastic card! Love turning LO sketches into cards too! Great papers and stamps! New follower, thanks for the chance to win a fabo prize! Your card is simply gorgeous! Fantastic job changing a layout sketch into a card sketch! (Not always easy to do but you made it look effortless!) Thank you for sharing your incredible work! Love that you turned the sketch into a card. Love that stamp set too!!! That sketch works so well as a card. Love the way you’ve matted each piece; it makes the layers pop and the whole design more interesting. Well done.